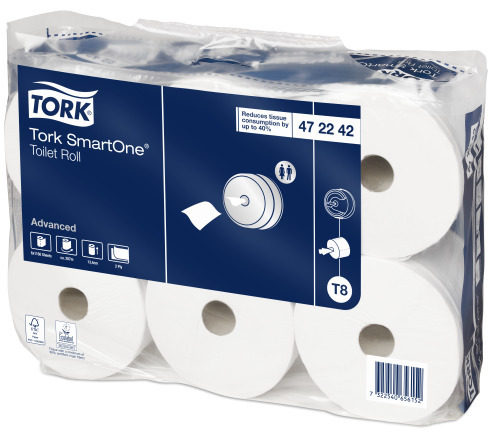 Washroom maintenance is quick and easy with Tork SmartOne toilet rolls. 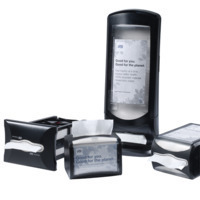 Save time and minimize hassle by avoiding pipe blockages, thanks to sheet-by-sheet dispensing. 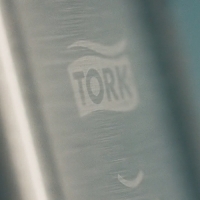 Furthermore, Tork Easy Handling packaging makes logistics easy, as it takes only one hand to carry the pack.